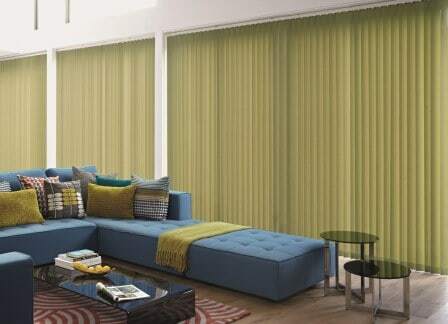 Vertical blinds are a well-known shading solution. 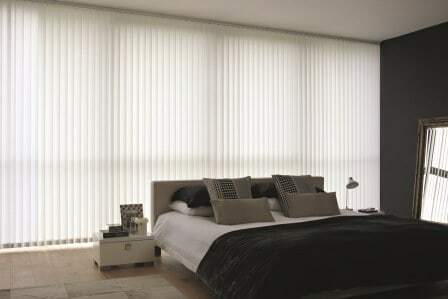 They are ideal for controlling the amount of light coming into a room and offer privacy when closed helping to create the perfect mood. Their versatility makes them the perfect choice for both the home and the office. 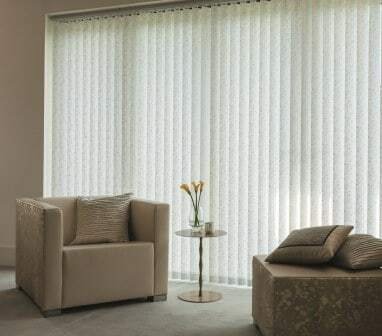 Signature Blinds offer over 200 fabrics in our Vertical Blind range including plains, patterns, and jacquards helping you achieve the perfect finish to any room.The Headrails are powder coated, are durable and have a high quality. The blinds come complete with white weights and chains. 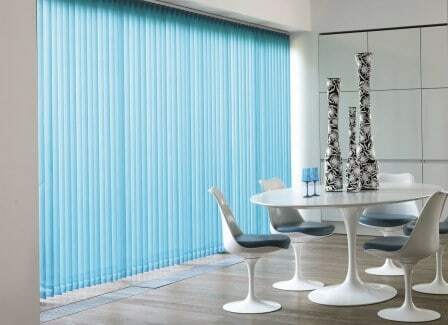 Ask about our range of rigid PVC verticals, these blinds exclude the need for connecting chains at the bottom of the blind and are water resistent and can be cleaned by just giving them a wipe. 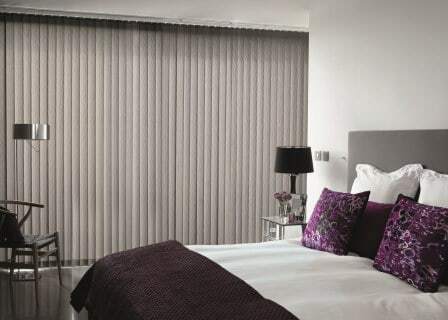 Our vertical fabrics are available in 89mm and 127mm widths. Our Vertical Blinds now come with 2 control options, the traditional chain and cord operation(shortened and strapped as per child safety regulations) and our new child safe twist rod operation. We were so impressed with the standard of the shutters and the service provided by Mark. The whole process was professional, reliable and efficient. Our house has been greatly improved as a result. I would be happy to highly recommend Signature Blinds. Dealt with Mark in Signature – great guy & company to deal with. We had looked for blinds for our bi-fold doors for ages, but always too expensive. We went with Signature as the range was great, but so was the price. Would recommend & couple of our friends have used them since and are also delighted with the service. My new fab almost floor to ceiling vanitians which almost look like shutters. 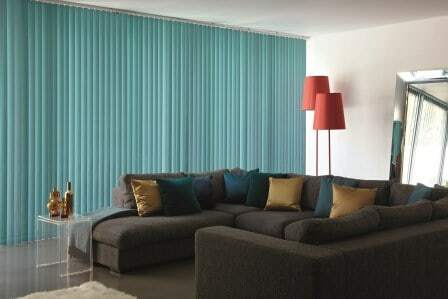 Also friction blinds in hallway and on patio/french doors. 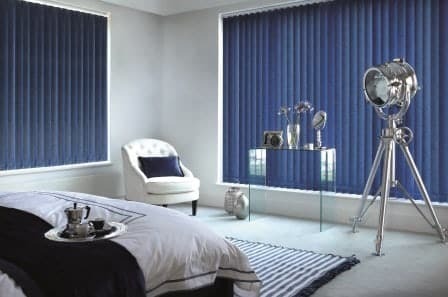 All from Signiture Blinds and shutters. Mark and Keith did a fab job and looked after me from start to finish. Jeinny Martin – January 2016 My new fab almost floor to ceiling vanitians which almost look like shutters. 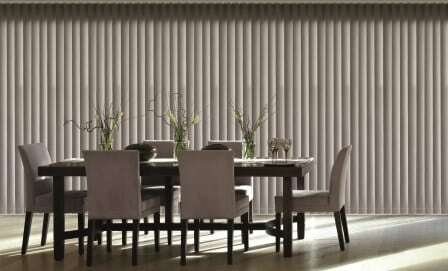 Also friction blinds in hallway and on patio/french doors. All from Signiture Blinds and shutters. Mark and Keith did a fab job and looked after me from start to finish. mark and the lads at signature did an amazing job on my shutters today – so absolutely delighted with the finished job. Would recommend them whole heartedly for shutters. Marks quote was non comparable with any other i got. Very nice man who loves the job he is fantastic at. Mark and Keith did a wonderful job. Love my new shutters. Thank you. Thanks a million for fitting our beautiful shutters and pleated blinds. We can’t get over the transformation and love them! Great service and would 100% recommend! I can honestly say these guys are absolutely brilliant, the blinds are stunning, amazing quality and the workmanship is absolutely perfect. Fantastic selection of blinds. Delighted with the end result. Thanks so much to Mark and Keith. I love the shutter blinds, transforms the whole house. A very professional job, 110 per cent. Would thoroughly recommend these guys .